Nina Jelić is a graduate psychology student at Faculty of Humanities and Social Sciences, University of Zagreb, Croatia. Her fields of interest are social and clinical psychology. Every scientific discipline is determined by the object of measurement and the selection of appropriate methods of data collection and statistical analysis. Faulty methodology can lead to incorrect information in the results, without the researcher being aware of this. Taking incorrect knowledge as correct into account while conducting further research has far-reaching negative consequences. One of these errors present, to some degree, in every single research is bias. It is a particularly dangerous one, because it usually goes undetected by the researcher. But if you are aware of its threat there are ways to avoid it. In research, it occurs when systematic error is introduced into sampling or testing by selecting or encouraging one outcome or answer over others. It comes in numerous ways and forms. 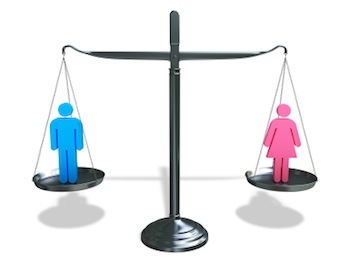 The rest of this post will focus on causes of bias in the field of gender studies.